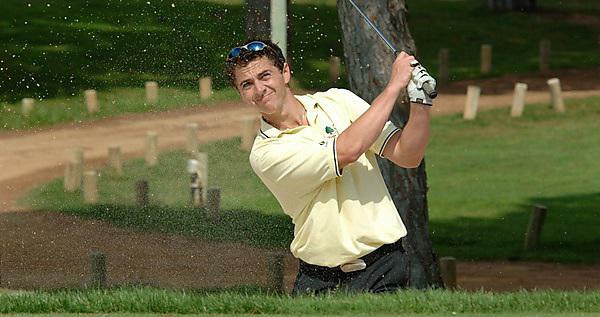 The nature of the follow-through performed after completing an action – such as a golf or tennis swing – has significant influence on the extent to which new skills are acquired, research has shown. The study by Plymouth University and the University of Cambridge has shown a single skill can be learned faster if its follow-through motion is consistent, but multiple skills can be learned simultaneously if the follow-through is varied. If a new task, such as serving a tennis ball or learning a passage on a musical instrument, is repeated enough times, the brain is able to store, protect and reactivate this memory, quickly instructing muscles to perform the task so seemingly without thinking. While follow-through in sports cannot affect the movement of the ball after it has been hit, it does help maximise velocity or force at the point of impact, and prevents injuries by allowing a gradual slowdown of a movement. The researchers also believe the study provides new insight into the way tasks are learned and could have implications for rehabilitation, such as re-learning motor skills following a stroke. For the study, published in Current Biology, researchers examined the presence or absence of interference by having participants learn a ‘reaching’ task in the presence of two opposite force-fields. They found the specific motor memory which is active at any given moment depends on the movement that will be made in the near future. When a follow-through movement was made that was predictive of the force-field direction, there was a substantial reduction in interference, suggesting that different follow-throughs may activate distinct motor memories, allowing us to learn two different skills without them interfering, even when the rest of the movement is identical. However, while practising a variable follow-through can activate multiple motor memories, practising a consistent follow-through allowed for tasks to be learned much faster. Now researchers also believe it allows distinct motor memories to be learned, so that by practising the same action with different follow-throughs, different motor memories can be learned for a single movement. The work was supported by the Wellcome Trust, Human Frontier Science Program, Plymouth University and the Royal Society.